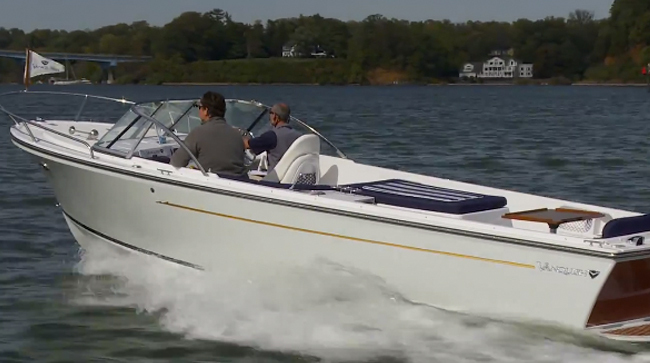 The 53' Canoe Cove is a West Coast classic. This is a robust and spacious design that has proven itself over many years in the North West. 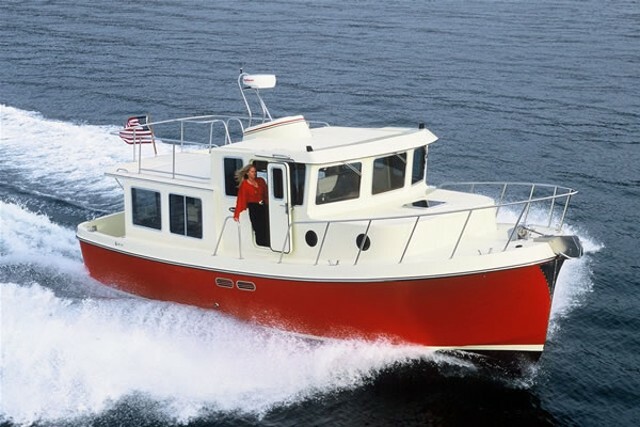 This particular boat is in exceptional condition, due to the ongoing and continuous professional maintenance that this boat has received its entire life. The vessel has always been boathouse kept and it shows. Although the renewal and maintenance list is extensive, notable is the complete professional renewal of the electrical systems in the past year. This a great opportunity to own a turnkey classic Canoe Cove in exceptional condition. Price just reduced to $248,000. Seller would like to see this boat in caring new hands sooner than later. 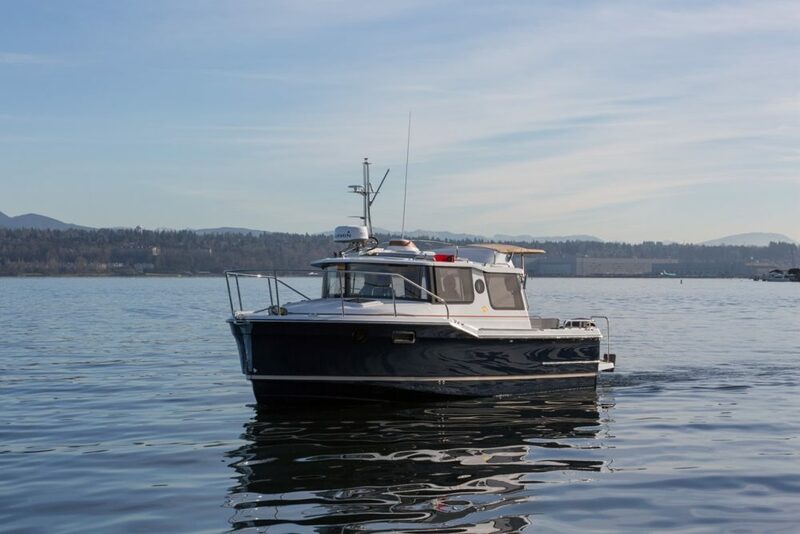 Please review the photos and full specifications to see the beautiful vessel that is being offered here. This is a two stateroom, two head layout. The staterooms are very private with separate stairways and heads leading to the individual cabins. The master stateroom is located midships and is accessed by a stairway descending from the main salon. At the bottom of the stairway you will find a door to a head and master cabin. The master has a centre line queen berth, excellent storage and quality chromed bronze opening ports. The attached head is comprised of a Vanity, Vacu-Flush Head & a Separate Shower with bench seat. The guest accommodation is located forward below deck. This is accessed from a stairway descending from the pilothouse forward. 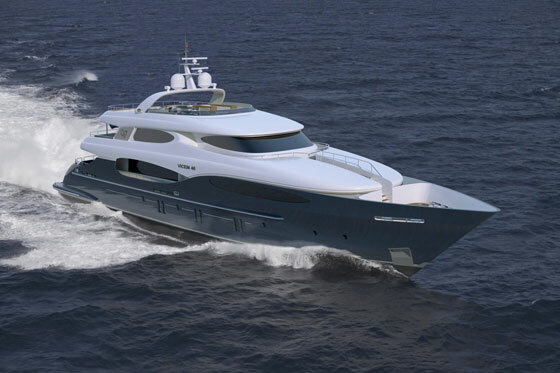 Here you would find a spacious V-shaped cabin with two separate and comfortable berths. There are ample storage drawers and lockers as well as the chromed bronze opening ports. Adjacent to the cabin is the second head with vanity, vacu-flush head, and a separate stand up shower. The cockpit is easily accessed through the transom door from the teak swim platform. It is spacious and keeps you low to the water. There is a beautifully finished wet bar/locker unit on the port side as well as a third helm which is perfect for docking astern. There is a varnished wood door with a large glass window that opens to the salon. A fitted carpet gives the cockpit a comfortable look and feel. Entering the Salon from the cockpit it will revel a large open space, surrounded by large windows and beautiful wood work. 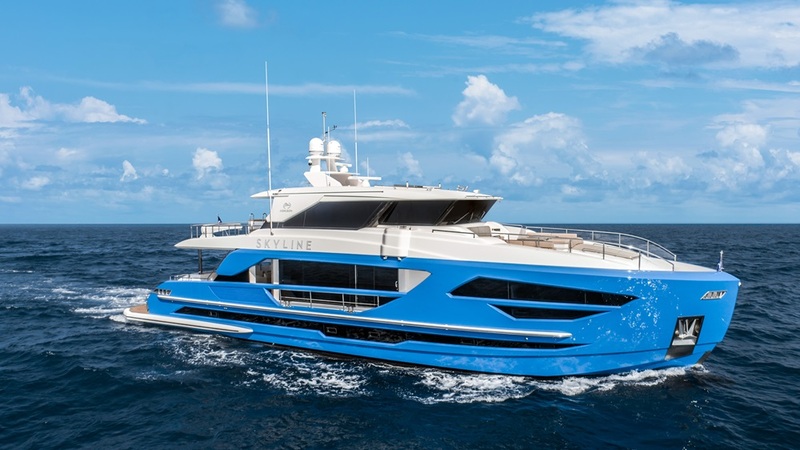 The space is open all the way through to the pilothouse, creating a bright and open boat. This area could be a flex area with your preferred furniture as nothing is built in. Currently there are two comfortable chairs to port with a wooden table that houses the hidden television. To Starboard is a double reclining lounge with cup holders, storage, and USB plugs. The lighting is LED and indirect strip lighting. The U- Shaped Galley is located forward of the Salon to port and on the same level. There is a counter service here with two bar stools, perfect for socialising while preparing meals. The galley floors are hardwood and there is ample stowage in the beautifully finished wood cabinetry. Again this is a bright open space with views to the windows. There is a good inventory of appliances described later in Galley equipment. A few short steps up from the galley and salon is the pilothouse. This comprises of a spacious U-Shaped seating/dining area to port, a space with two helm chairs forward and the full inventory of Electronics and Mechanical instrumentation inventoried under the individual categories. 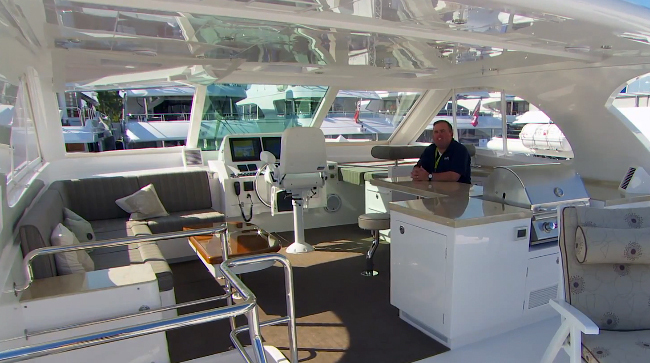 This is a space with a view, surrounded by windows and two large sliding pilothouse doors. From here there is a stairway to the bridge and a stairway to the forward guest stateroom. The bridge comprises of the helm and three captains chairs along with an L-Shaped seating area, perfect for socialising with a view whether underway or at anchor. There is plenty of storage and the soft goods are in excellent condition. Aft of the bridge is a stair leading to the top deck. This is where the tender sits on chocks and can be launched with the mechanical/electric davit system. Note that this vessel had a complete electrical rewire in 2016/17. This included all new electrical runs AC & DC, new fixtures, and new breaker panels. This was a significant scope of work with costs in excess of $125k. Stainless Steel Stanchions with a teak cap rail starting at the forward pilothouse and running aft. This vessel is housed in a 60' Boathouse in Sidney BC. The boathouse is well equipped and located, it could be purchased with the boat. The cost of the boathouse is $99,800 CDN. New back door assembly, rub rail by Canoe Cove Mfg. Nov/08.